For years companies have been marketing clean and checks, for the spring and the fall. It’s a great idea! Homeowners should keep their heating and air conditioning system clean, maintained, and tuned to save on their energy bills. Studies have shown that properly maintained air conditioners can save over 20% a year on utility costs. It really is common sense. 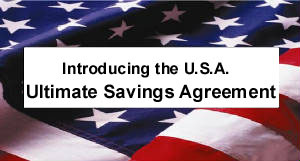 At BRIGGS A/C, that’s why we came up with the U.S.A.– The Ultimate Savings Agreement. 3 Precision Tune-ups the 1st year on your home comfort system, 2 each year after. Peace of mind you are saving money on utility costs. A 15% discount on all service needed if you own a Ultimate Savings Agreement with Briggs. Preferred service should you need it – you move to the front of the line. A clean system improves your home's quality of indoor air. Maintains your Existing Equipment Extended Warranties. Contact us today!